Steven is a forensic accountant with nearly 20 years of experience assisting clients in accounting-related issues, including internal investigations, litigation, compliance and internal controls reviews. Steven has analyzed business and financial aspects of complex litigation and regulatory matters and performed special investigations on behalf of boards of directors, outside counsel, internal compliance groups, and outside lenders. He has assisted clients involved in disputes requiring analysis of complex accounting issues, including preparing for negotiations and mediation related to disputes. Across these experiences, he has applied extensive financial, accounting and economic analyses, including the development of complex financial and quantitative models and analysis of large volumes of documents and data. 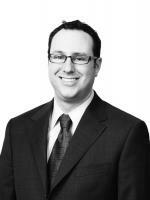 Steven has assisted clients with SEC, DOJ, and internal fraud investigations in the United States and abroad. Client issues have included billing fraud, employee embezzlement, FCPA violations, earnings management, improper vendor arrangements, misappropriation of grant and other government funding and compliance with governmental policies. In addition, Steven has worked on behalf of plaintiffs and defendants to assist in disputes involving breach of contract, licensing agreements, class action and other matters. His engagements have included damages analyses, calculation of lost profits, increased costs and price erosion, and criminal defense. He has also been engaged in purchase price disputes, which require analysis of complex accounting issues, such as revenue recognition, inventory valuation, tax, business valuation, and accounting for other reserves and accruals. Steven is a Certified Public Accountant, licensed in the Commonwealth of Virginia, and a Certified Fraud Examiner. How best to encourage employee engagement, enhance a culture of civility and respect, improve the performance of Federal workplace processes and improve overall workforce engagement to achieve future mission success and achieve workforce restructuring requirements in the modern, mobile workplace. What Government Executives, Managers, and Staff Need to Know to Fine Tune or Develop an Effective Category Management Program and Better Understand and Implement the OMB Guidance.